Planning a romantic getaway for Valentine’s Day or Special Anniversary? 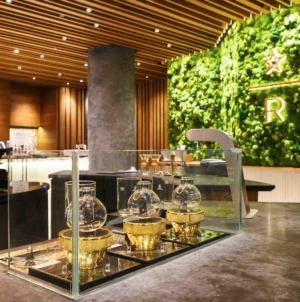 Banyan Tree Dining Experiences offers a wide selection of Destination Dining concepts just hours away from Singapore. From cruises on iconic waters to elevated beach dinners at private bays, every experience draws on the unique beauty and culture of its surroundings. Seamlessly fused with signature stellar Banyan Tree hospitality, each affair is a meal of a lifetime that fulfils your desire for bespoke experience and authentic travel. 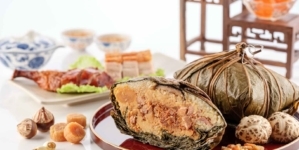 Here are some of Banyan Tree Destination Dining Experiences across Southeast Asia. The legendary lagoon that sparked the first Banyan Tree presents two gorgeous dining venues on its tranquil waters. For a truly inspirational cultural experience, couples can opt to cruise along Banyan Tree Phuket’s lagoon in a traditional Thai longboat to admire the hues of the Andaman sunset while being served by a personal chef. 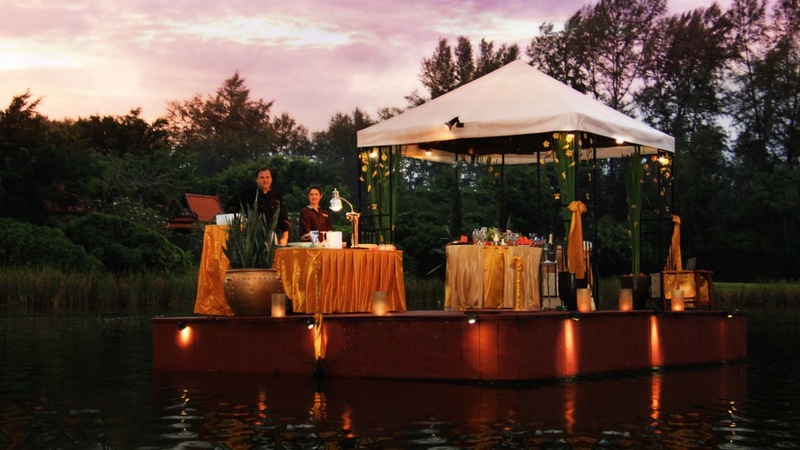 For those who prefer the embrace of calm waters, another option is a private “restaurant” floating on the lagoon where diners will be bathed in the light of candles and stars. 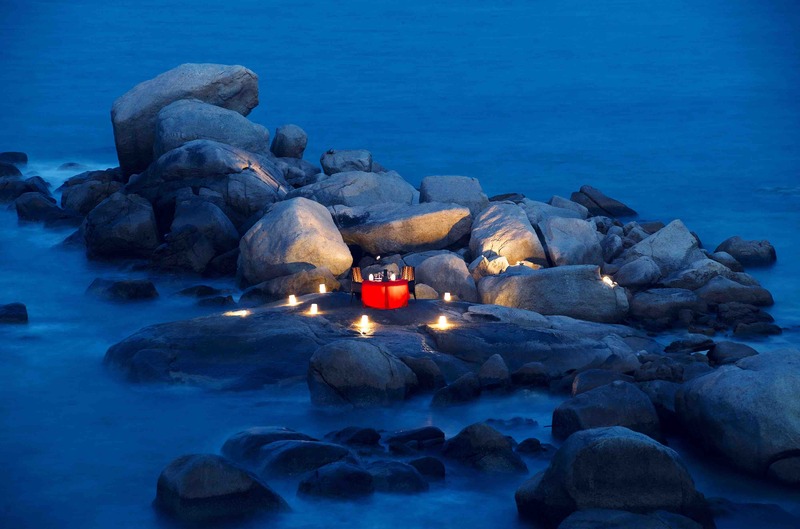 Conventional beach dining is transformed with breathtaking backdrops and traditional twists at Banyan Tree Bintan. 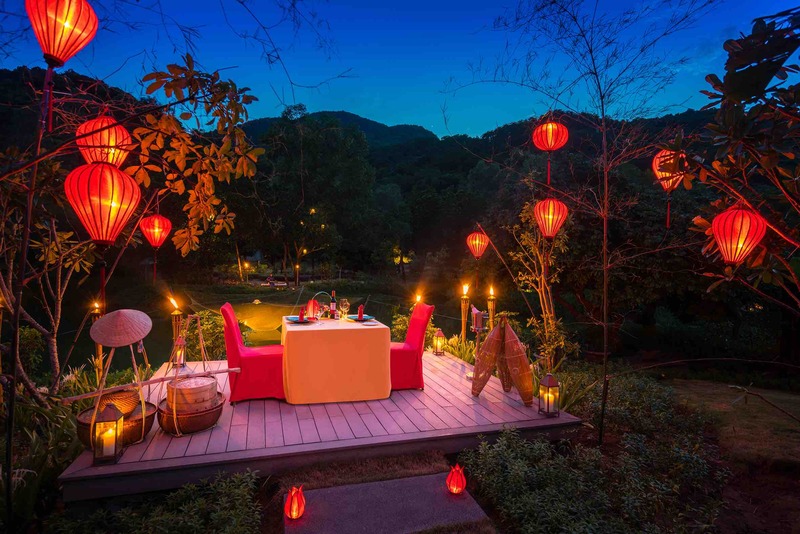 Setting the stage for romantic dinners is the dramatic display of massive natural rock awash in lantern lights. 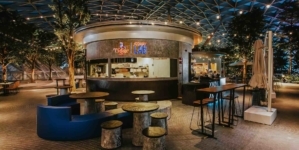 Alternatively, friends seeking a legendary evening can choose to dine in quaint fisherman’s boats with divine seafood like wok-fried chilli crab fresh from the mangroves. The rich culture and cosmopolitan of Bangkok unfolds along the River of Kings and there is no better way to watch it than on Apsaras – Banyan Tree Bangkok’s very own floating restaurant. 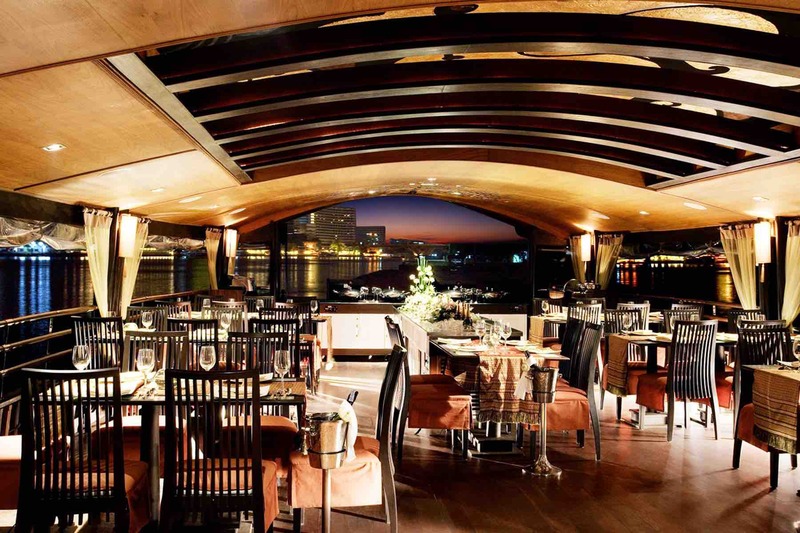 Originally a vintage rice barge, Apsaras was transformed into an astounding cruising restaurant serving delectable royal Thai cuisine and delivering an unmatched dining experience. Seated at the crossroads of Vietnam’s most well-known UNESCO Heritage Sites that include the ancient cities of Hue and Hoi An, it is no wonder Banyan Tree Lăng Cô’s Destination Dining options draw inspiration from the breathlessly romantic culture and history of Vietnam. You can opt to dine on the deck of their private lagoon villas or in a pavilion by Laguna Lăng Cô’s very own canal softly lit by the amber light of a dozen Vietnamese silk lanterns. When all of Bali is a destination, the best place in Bali is where you can see all its beauty. Quiet and intimate in-villa meals at Banyan Tree Ungasan are heightened as the resort’s luxurious all-pool villas are perched on the majestic cliffs of Southern Bali and serve up striking vistas of the iridescent Indian Ocean and the famed Uluwatu temple, as well as exquisite barbecue from a private chef. 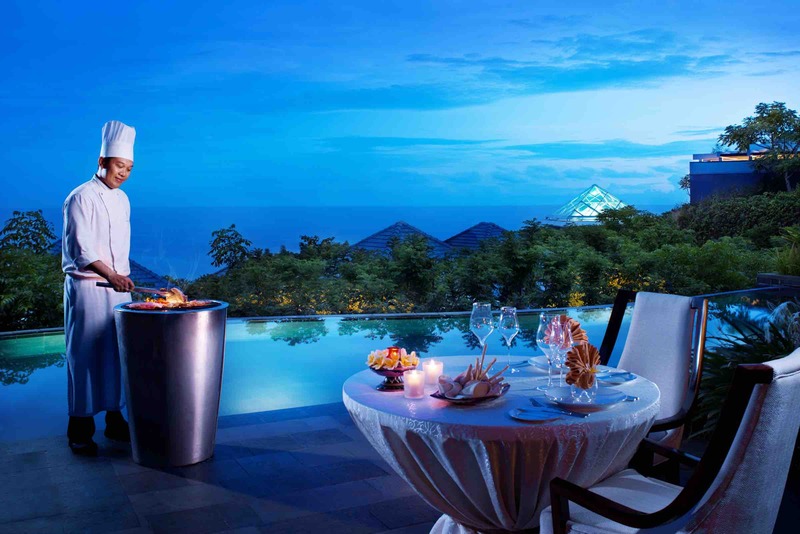 We hope you like our recommendation of Banyan Tree Destination Dining Experience. Do share with us in the comments section which of these options best interest you for your next romantic getaway!